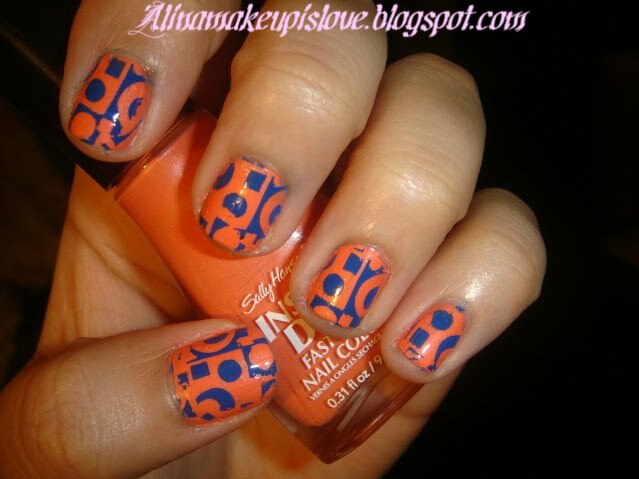 Nail Of The Day: Sally Hansen Insta-Dri Fast Dry Nail Color in 'Snappy Sorbet' and Konad! I hope you are all having a beautiful Thursday! Of course, you all know I had to add a fun Konad image. I picked a retro image from plate m65. 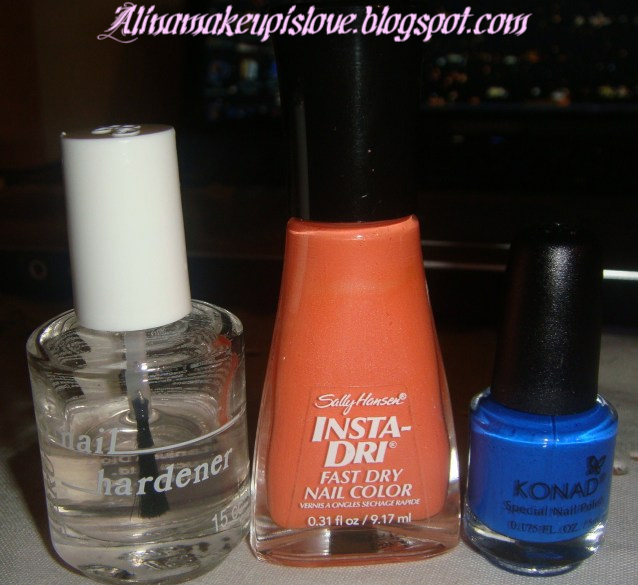 The blue I used is Konad special polish in blue. Overall, I like how this look turned out. I like how the colors contradict each other, which makes this design and color combo interesting (to me at least). Hey, quick question...I am thinking of buying Seche vite top coat. Is it any good, and worth the purchase? Let me know in the comments section! Disclaimer: I am not affiliated with any of these companies mentioned above. All of these products I purchased with my money. Pretty! I love that color. Very very pretty, Alina you are just tempting me...lol..gonna purchase those special polish soon. I've been thinking about purchasing the Insta-Dri polish. Is it really good and does it dry "instantly?" I've never tried the Seche Vite top coat but Queen of Blending on youtube uses it and says its amazing. I believe her, lol. I have tried a few insta-dri polishes and I really like them! I find them so easy to apply and I do think they dry pretty fast (but not instantly). 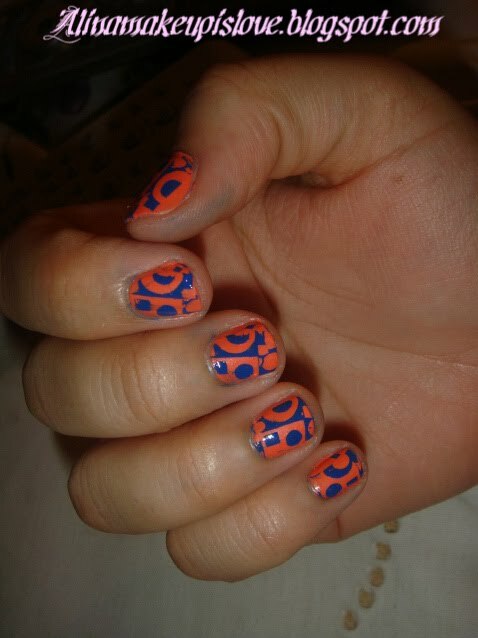 As is best with all nail polish, I think you should always give it 30 minutes or even 1 hour to dry completely. But the Insta-dri polishes do feel dry to the touch after 10 minutes or so.